Energy drinks are great and all. The next time you need energy, the Cannabis Energy Drink will give you a good dose of healthy hemp. Before you think about grabbing a Red Bull the next time you need energy, consider a better option: the Cannabis Energy Drink. Not only does it provide you with essential vitamins and minerals, but it also battles obesity, high blood pressure, and more. When’s the last time an unhealthy sugar-filled drink did that for ya? The best part of all, it’s legal! Be sure to check out the video below to hear all about it. You might assume such a product will get you high. However, this particular beverage contains hemp seed oil, which is no doubt beneficial to your health. You’ve probably heard all about the dangers of energy drinks. Not to mention, the countless amounts of sugar and calories they contain. 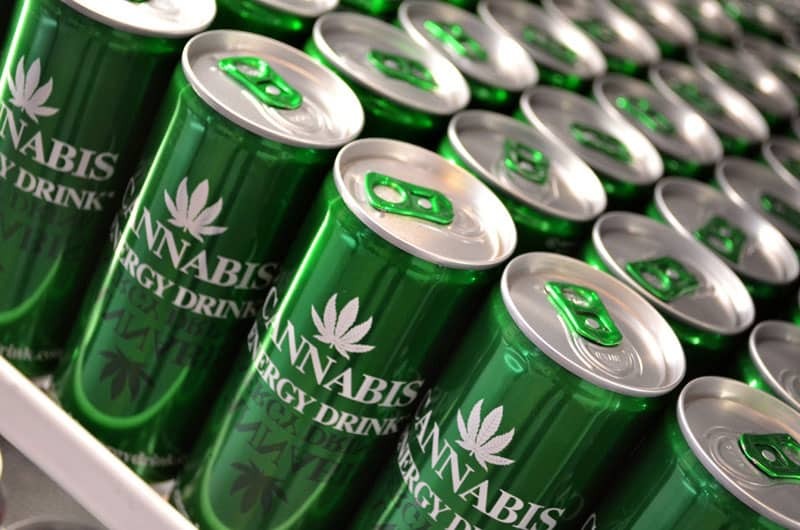 However, there is one energy drink that is about to change the game: the Cannabis Energy Drink. Of course, you probably think that this beverage will give you quite the buzz. On the contrary, this particular drink contains hemp seed oil, and will not get you high. Also, it’s totally legal! So, what is all the fuss about if it won’t get you high? Well, for starters, hemp seed oil has linoleic acid, which happens to contain vital vitamins and minerals that help fight obesity. Also, those vitamins can conquer diabetes and even high blood pressure. How many energy drinks out there are actually good for you? Not very many! With that said, it’s time to ditch the Red Bull or your daily cup of coffee and trade them in for the Cannabis Energy Drink. In fact, this beverage will give you just as much energy as your morning cup of joe. If interested, these babies are available in the United States and Europe. In case you’re having trouble tracking them down, click here to have some shipped to your door.